MySpace and Ad.ly have made an in-stream advertising deal. 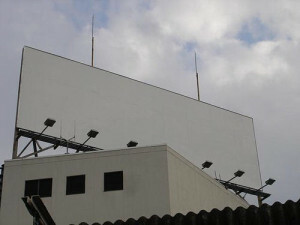 Ad.ly provides advertisements for activity feeds and streams such as Twitter. Now, content creators on MySpace can monetize their activity streams. “This deal provides [content] publishers with the opportunity to associate themselves with brands that represent and reflect their personas online,” said Sean Percival, Director of Content Socialization for MySpace. MySpace [members] can sign up with Ad.ly and create a profile. Once registered, they can decide which messages from advertisers they want to support, and Ad.ly will deliver the approved messages via the activity stream. […] Advertisers can choose to have their ads sent through Twitter accounts into the Twitter stream or through MySpace accounts into the MySpace stream (or both). Ad.ly says it will not be affected by Twitter’s decision last month to ban third-party advertising. In related news, Apple CEO Steve Jobs says that his company does not plan to institute any third-party ad bans from apps on its mobile devices, such as the iPhone, iPod Touch, and iPad. The company has made changes in April that seemed to create such a ban in order to force providers to use Apple’s proprietary iAd service. Jobs said that this update was to protect users’ privacy, however. Image by iMorpheus, used under Creative Commons license.